I have a confession to make- whenever I feel I need to sort out or figure out some stuff on my own, or need my own time, I would head on out the sea side if I could. I always find the breeze from the sea to be therapeutic. 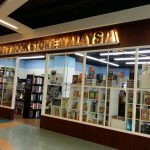 The nearest place feel the breeze of the sea from Klang Valley or Selangor is at Port Klang. 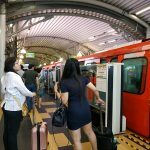 When I was staying in Penang, there was a period I was feeling a little stressed out and I would then take the bus to the jetty to ride the ferry to Butterworth and then ride back to the island. I usually would choose to travel at night as the breeze is very cooling and soothing. No matter how down or sad that I could be feeling, going there never failed to make me feel better, as if the breeze helped blow away my troubles and lifted my spirits. 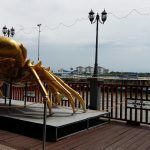 As I am back in Selangor, I find a new place which is the Southport in Pelabuhan Klang connecting to the Pulau Ketam jetty. Of course there is always Morib or Port Dickson but the distance is longer and I needed a place where I could manage with a day trip. 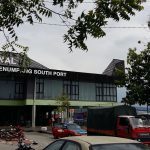 The first time I went there I used Waze and keyed in “KTM Kommuter Pelabuhan Klang” because the port is located just next to the KTM Kommuter station. More than 10 years ago before Waze existed, I even went to the Immigration Department in Port Klang (through asking friends who stay in Klang for a clear direction) to have my passport renewed as there was less people due to its location. The jetty was within walking distance from the jetty. 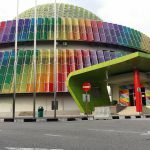 But nowadays, I would recommend renewing in Jalan Duta or Putrajaya as the service is fast and efficient and there are sufficient seating places allocated. 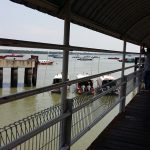 The Southport have daily ferries that take passengers to and fro Pulau Ketam. 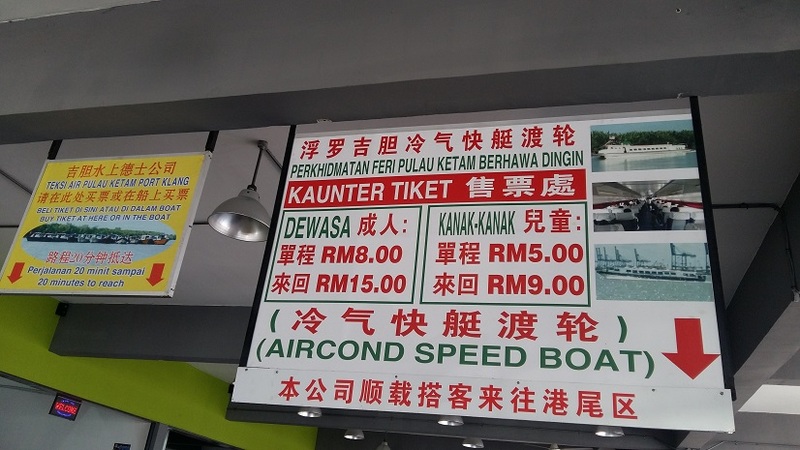 I plan to make a day trip soon to Pulau Ketam…. hee hee basically my main objective would be to sit on the boat and enjoy the breeze. 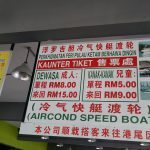 The ferry services mostly ends at 5pm, hence I have been advised by the ticketing staff that if I plan for a day trip, it is better to go in the morning and come back in the afternoon before their last boat. Below is an old picture of the Southport before it underwent renovation. The picture is enlarged and placed on the wall. Yes, you may think I am a little strange but to me, it is a cost effective way to relax and destress. Years ago, I remember coming with my best friend as we both sat near the jetty contemplating about our future and sharing secrets. Similar as being in a seaside, there would be nice warm breeze blowing all the time. Sometimes I would buy an ice cream and enjoy while hanging or even sitting down at the side if I got too tired of standing. Yep, I do get weird looks….but I find in life well you do what you need to do and you cannot worry too much what others may think (so long as you are not breaking the law). 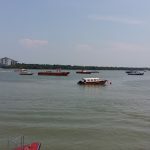 Many who commute often from Pulau Ketam or surrounding islands to Pelabuhan Klang may take its sight for granted. I would spend about 30 minutes to an hour just enjoying the breeze. In my previous trip… just standing (and sometimes sitting) with the breeze blowing through my face seemed to clear some inner cobwebs and I actually got an insight to something that was bothering me. Each one of us derive inspiration from different natural surroundings. 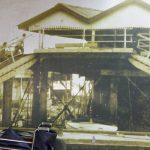 Another place I also enjoyed immensely was staying at Happy8 at Kuala Sepetang where I actually chose to sleep at the balcony of a room overlooking the jetty. At night, the sight of the clear starry night meeting the gentle breeze of the estuary (muara sungai bakau) with boats passing by was totally unforgettable. No mosquitos as it was too windy. But it did get a little cold and damp at about 2am onwards as the dew and mist accumulate. We live in a stressed world today and unwind by going back to nature would help to soothe and relax our hearts and minds. I personally find this to be much more effective than driving around aimlessly (some people do get into their cars and drive around aimlessly to destress) or sipping a cuppa at Starbucks. You just need to find the right place be in forests, hills, river or seaside and it need not cost you a lot of money.